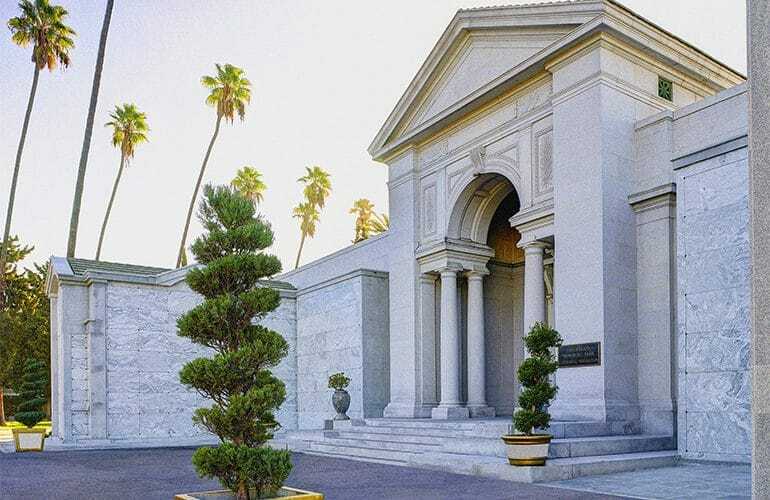 Hollywood Forever offers a range of options for the placement or interment of cremated remains, including both indoor and outdoor niches, lawn plots, living tree memorials, and scattering gardens. To learn more, please contact us. 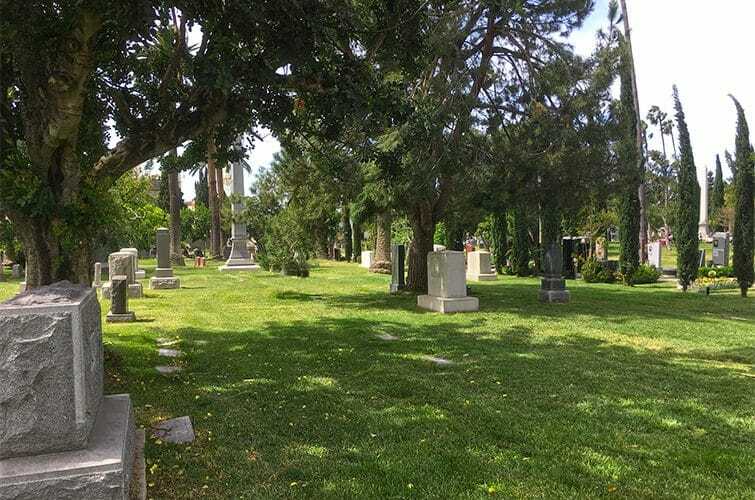 We invite you to visit us the cemetery for a personal tour of our beautiful grounds and historic buildings. 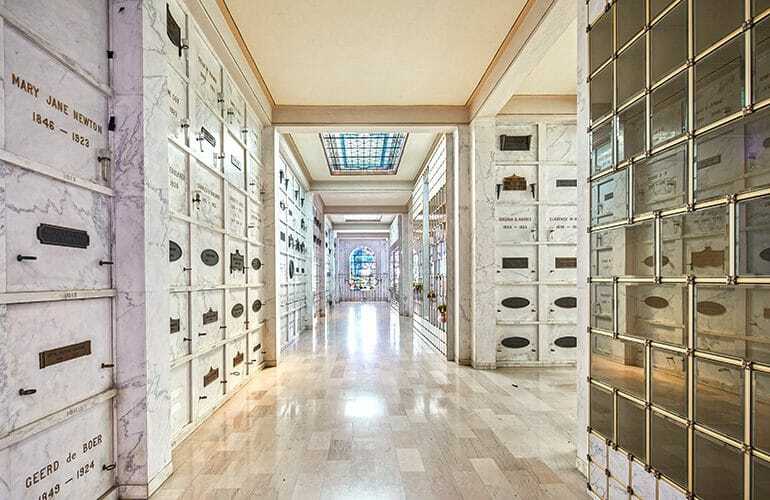 Both cremation niches and crypts for casketed remains gracing the facade of the Cathedral Mausoleum look out over the cemetery’s lake. 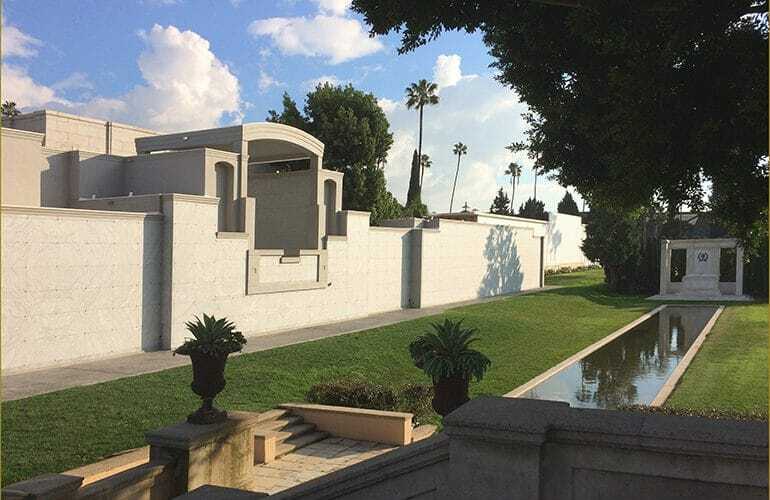 The newly completed mausoleum along the Douglas Fairbanks Reflecting Pool and Memorial offers both cremation niches and crypts for casketed remains. 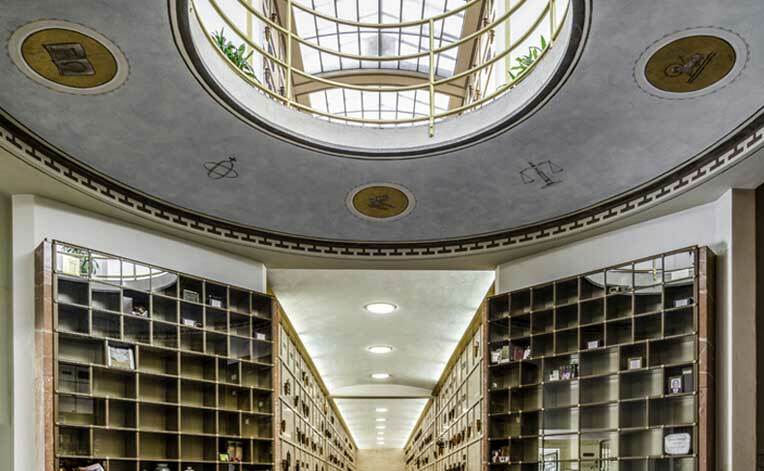 Beneath the dome of the cemetery’s main chapel lies the Hollywood Columbarium, where columns of glass-front niches surrounding a murmuring fountain rise up to meet the cupola on the second floor. 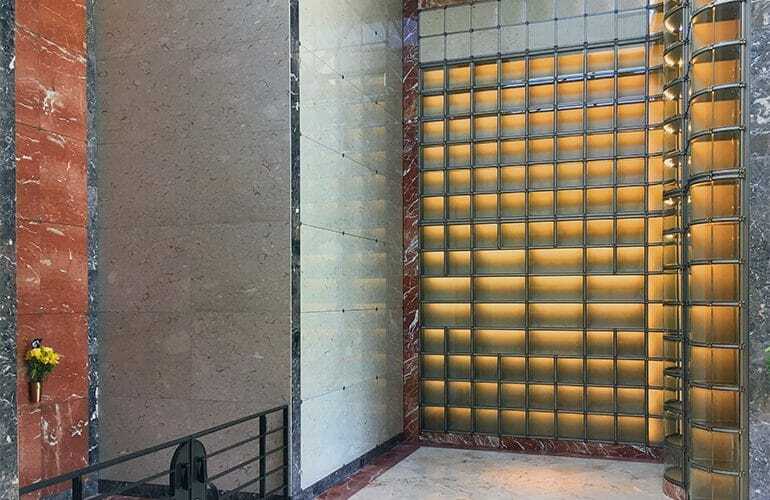 Named in tribute to Rudolph Valentino, who rests nearby, the three Valentino Shrines of the Cathedral Mausoleum offer both glass-front and marble-front niches. Named in honor of the the legendary star who rests here, the Judy Garland Pavilion offers individually lit glass-front niches, marble-front niches, as well as crypt spaces. 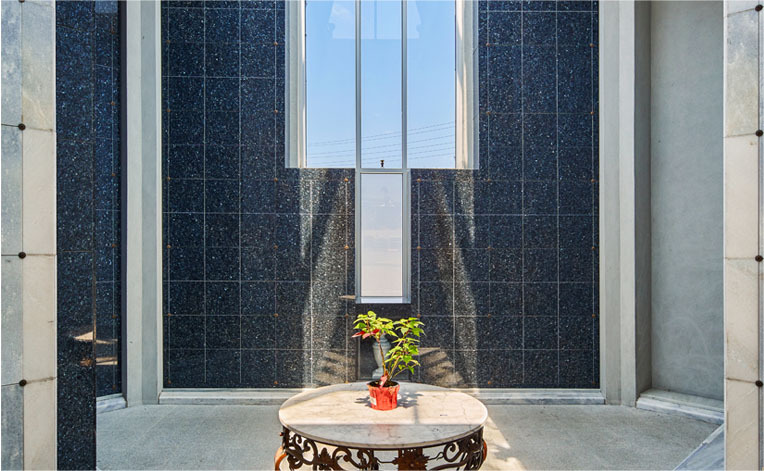 The glass pyramid that crowns the Courtyard bathes the blue granite niches of the Sky View Columbarium in golden sunlight. 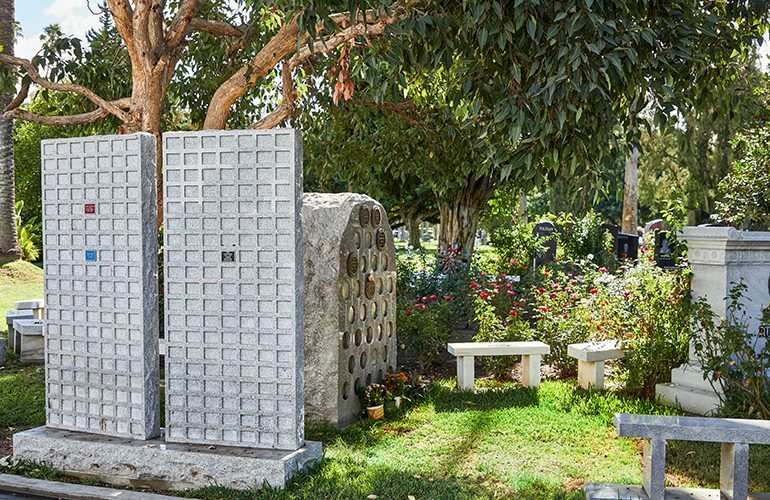 The cemetery’s grounds offer living memorials, where cremated remains and a biodegradable urn provide the foundation for a newly planted tree. Cremation niches form the walls of the fountain on the Pathway of Remembrance. 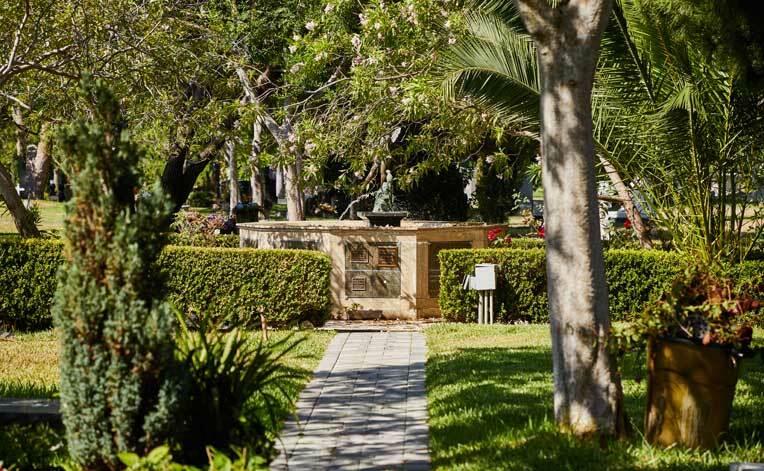 Cremated remains are reunited with the earth in the cemetery’s rose garden, where the Garden Gates memorial walls offer bronze plaques to memorialize both those resting nearby and those present solely in spirit. 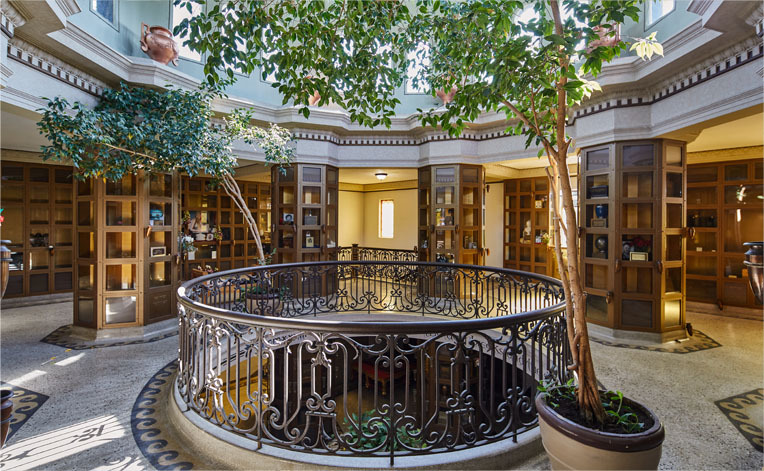 Four columbaria grace the walls of the Rotunda of the Abbey of the Psalms. 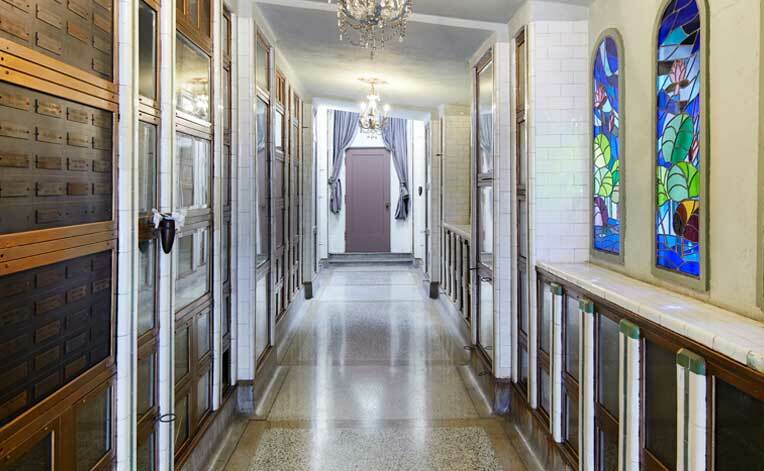 Built in 1923, the Colonnade features glass-front niches lined with Carrara marble. 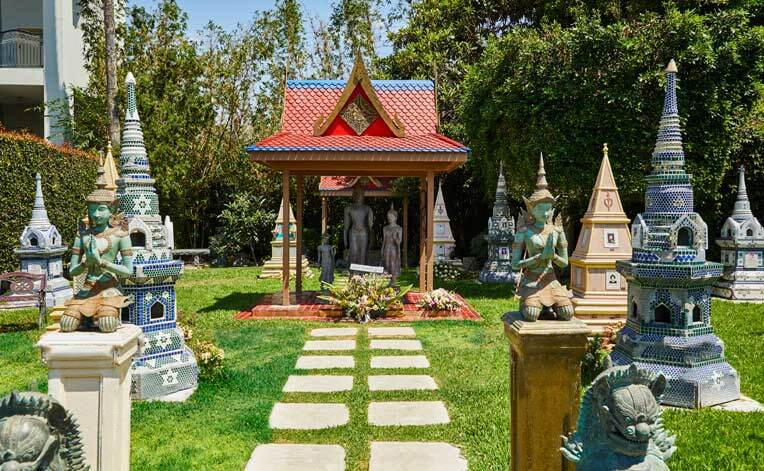 The cemetery’s Thai stupa garden is available to people of all faiths, traditions, and backgrounds. 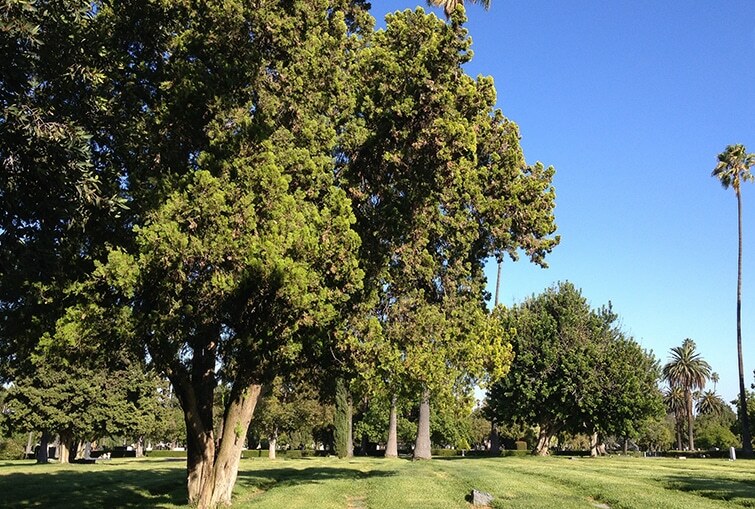 Cremation urns may also be placed in many of the cemetery’s lawn areas. The location may be marked with a living tree memorial, or with a traditional monument, marker, or bronze plaque. Each niche is part of a mosaic constructed by Italian artisans from thousands of brilliantly hued tiles. A Star of David marks marble-front niches to the mosaic’s south. Single cremation niches from $5,720.00. 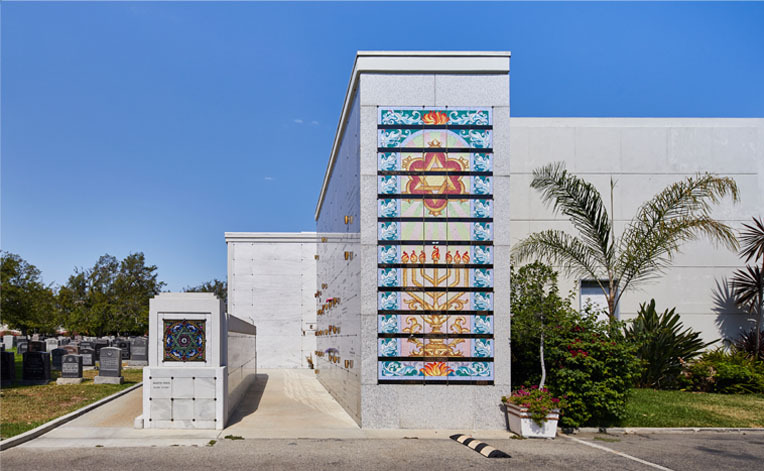 Cremation urns may also be placed in several of the lawn sections of Beth Olam. 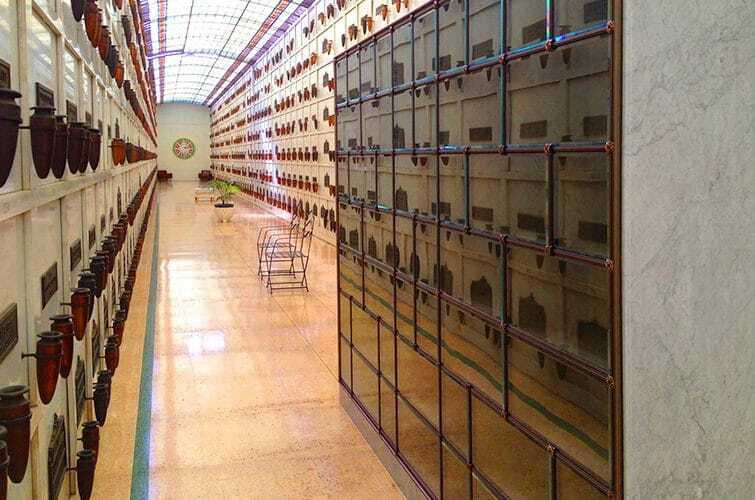 Single cremation niches from $4,125.00. For funeral package pricing, please click here. To learn more, please contact us. 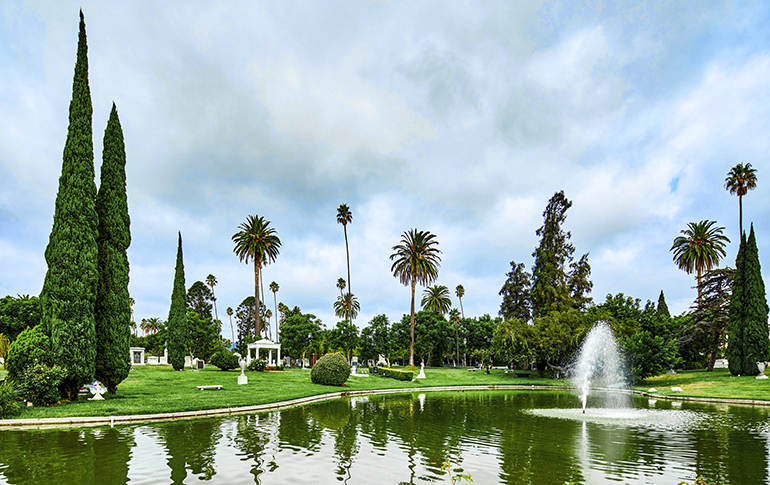 We invite you to make an appointment for a personalized tour of our grounds and facilities.